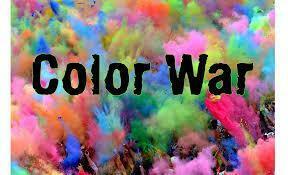 Battle of the Sexes Week is May 6-10 with Color Wars ending the competition on Friday, May 10! Stay tuned for more information. State testing will be April 1 through May 10. 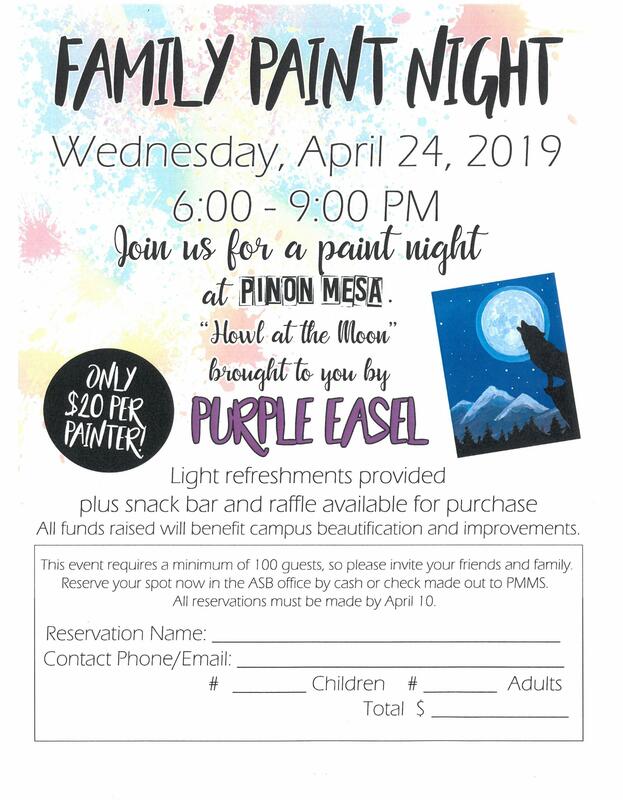 Wednesday, April 24, 2019, from 6 to 9 PM, join us for a paint night at Pinon Mesa. Purple Easel will be here to help you paint, "Howl at the Moon." Light refreshments will be provided and a snack bar and raffle will be available for purchase. All funds raised will benefit campus beautification and improvements. Only $20 per painter! 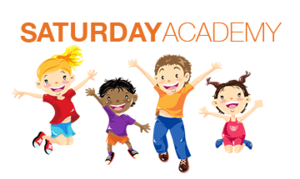 Hurry, space is limited and you must sign up before April 12. Make up an absence and come hang out with us for the day. This is a great opportunity to get help finishing assignments or learn a new skill. Click on the link above to learn more! Check out this month's Mountaineer Progress Article!